Moon Over Turret Arch I | Irene Abdou Photography, LLC - Travel. Lifestyle. Documentary. NGOs, Development & Public Health. Turret Arch looms in the distance. 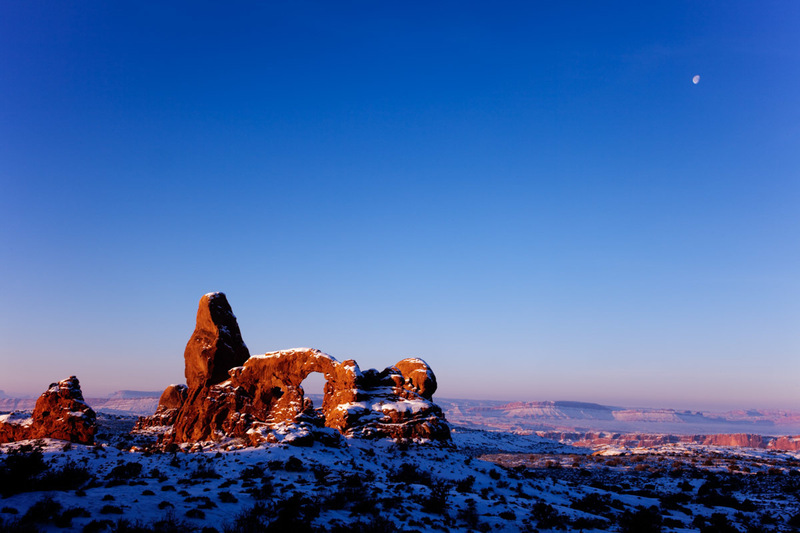 Fantastic rock formations and arches sculpted over thousands of years by wind, rain, and other forces of erosion dot the winter landscape of Arches National Park in southern Utah.